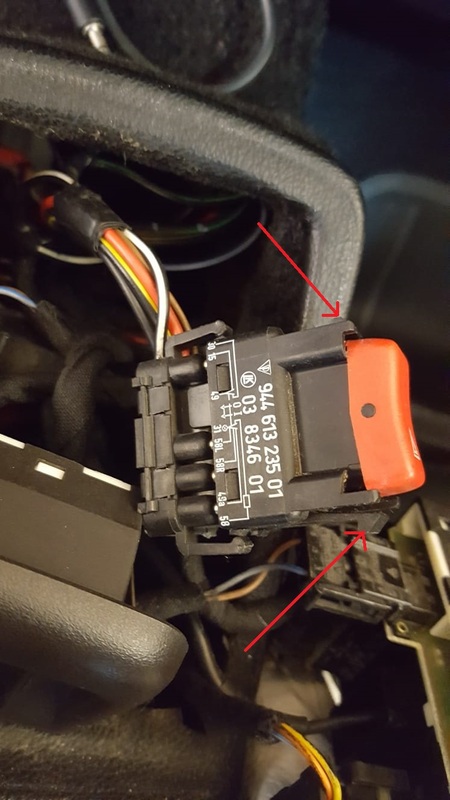 Just had to use my hazard warning lights switch, pulled up half in a no parking zone and noticed that the front edge of the switch is sitting low compared with the other switches. Having looked at the switch online it looks like one of the tangs has broken off. Can someone please tell me how to get to it? I will be looking to repair it. Thanks baldguy, I saw that too I just want to remove it first to see if it is a broken tang. you obviously know the area, can't beat the easy going parking rules Although they do charge 50 cents to park in a blue zone for an hour. OK to conclude this thread. I was able to get the two switch block carriers out by just gently prising them out, one side then the other, lower then the upper. 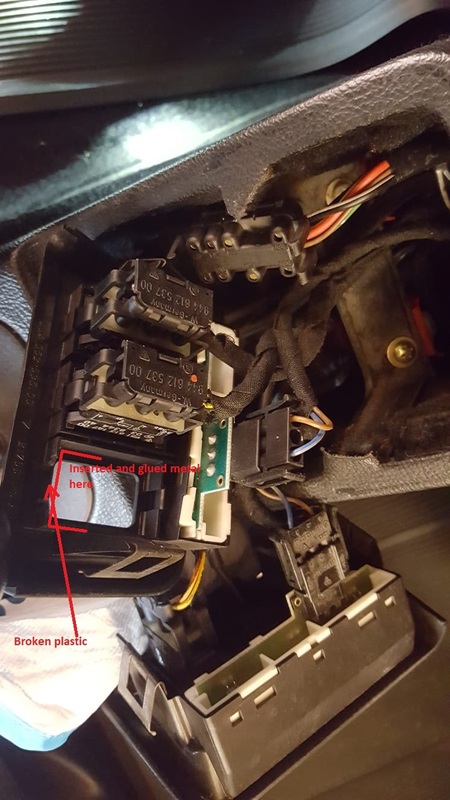 The problem was not with the switch tangs but with the block as can be seen in the pics, unfortunately the plastic had broken away and the broken piece was no where to be seen. Put it all back together and all is good. Thanks Trev, keeps me out of mischief and a new switch block carrier was over a couple of hundred quid I like to fix rather than replace if I can. We throw too much away in today's world and being an ex marine engineer I see these tasks as a challenge.